When Dr. Paul told Nurse Nora that he was finished as a surgeon, did that mean he was finished with her too? And Nora did deserve them, for as an adopted child, she had tried to earn the right that she belonged by carrying the emotional problems, the financial problems, the worries and frustrations of a widowed mother, a temperamental sister, and an irresponsible brother. And Nora could not…would not shove these responsibilities onto Paul’s shoulders. 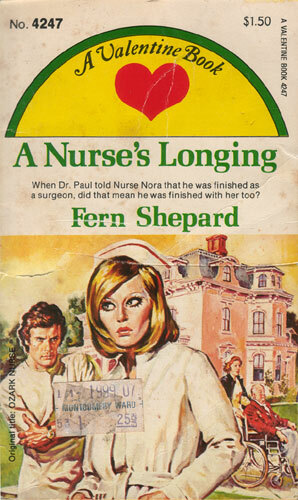 But Nora loved Paul with all her heart, so when she saw Paul suddenly seem to lose faith in his surgical skill and shut her out of his life, she felt helpless…especially when Paul turned to beautiful, wealthy Rita Lansing for comfort. Would Nora, stunned and hurt, turn to millionaire Andy Fine who loved her? Could Andy take Paul’s place in Nora’s life and heart?